Bernie Sanders on Monday night said he decided to run for president as a Democrat because of the media attention he would receive. "Do you run as an independent? Do you run within the Democratic party? We concluded-- and I think it was absolutely the right decision, that, A) in terms of media coverage -- you have to run within the Democratic Party," the Vermont independent said at MSNBC's Democratic town hall in Columbus, Ohio. 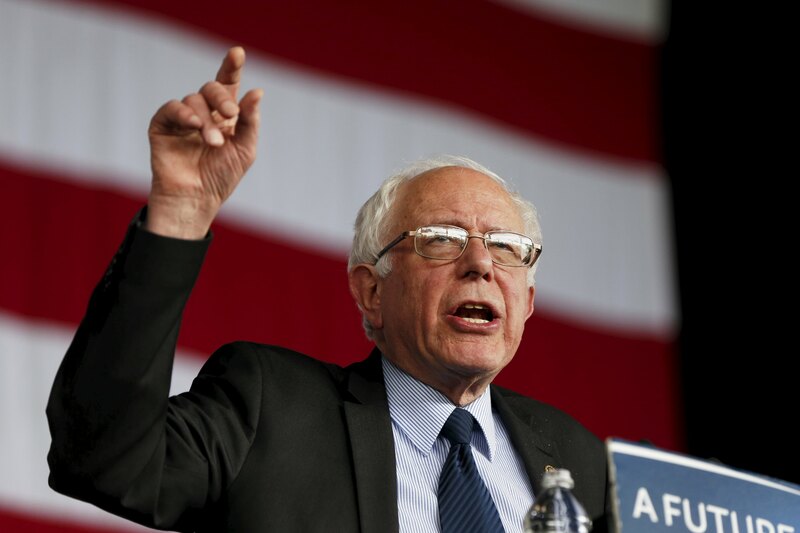 Does Bernie Sanders still have a chance at the Democratic nomination? The senator also said that the only way he could have launched a third-party bid was if he were a billionaire. "If you're a billionaire, you can do that. I'm not a billionaire. So the structure of American politics today is such that I thought the right ethic was to run within the Democratic party," he said. His comments came a day before critical primaries in five states, including Illinois, Florida and Ohio. A CBS News battleground tracker poll released on Sunday found Clinton was leading in Ohio and Florida while Sanders had a slight edge in Illinois. Clinton, meanwhile, has a large overall lead with 1,222 delegates while Sanders has picked up 565. He or she must win 2,383 delegates in order to win the nomination.